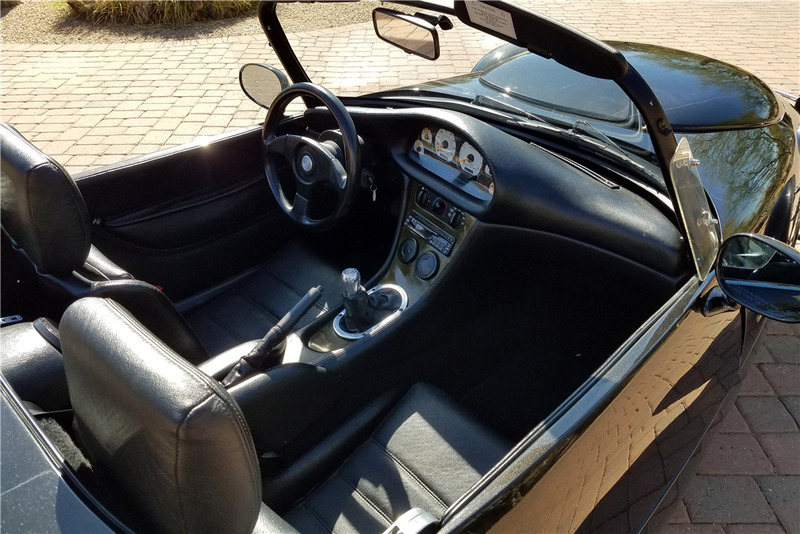 This 1997 Panoz AIV roadster is in stock condition with 6,500 actual miles (mileage not indicated on the title). It's powered by a Roush-tuned 4.6-liter V8 engine backed by a 5-speed manual transmission and a Ford drivetrain. It features an aluminum body and chassis, and is finished in black with silver and gold metal flake over a black interior. 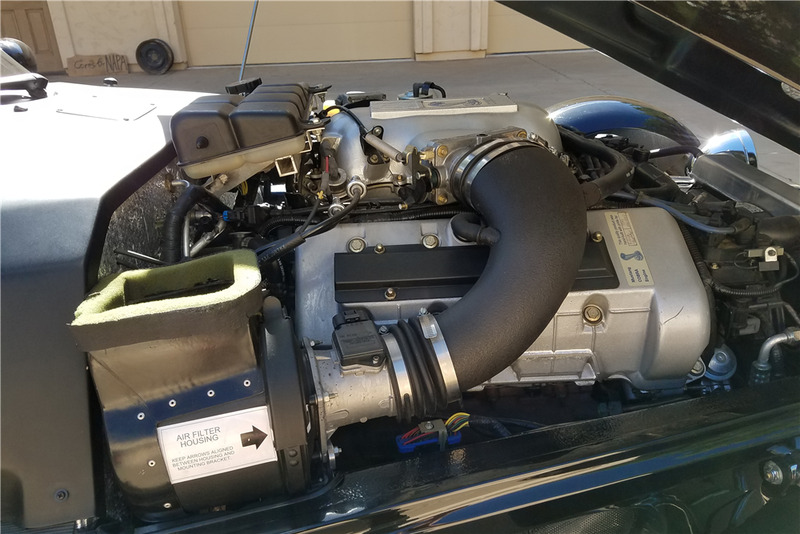 This Panoz is one of 176 AIV roadsters built, and is equipped with 4-wheel power disc brakes, power steering and air conditioning.